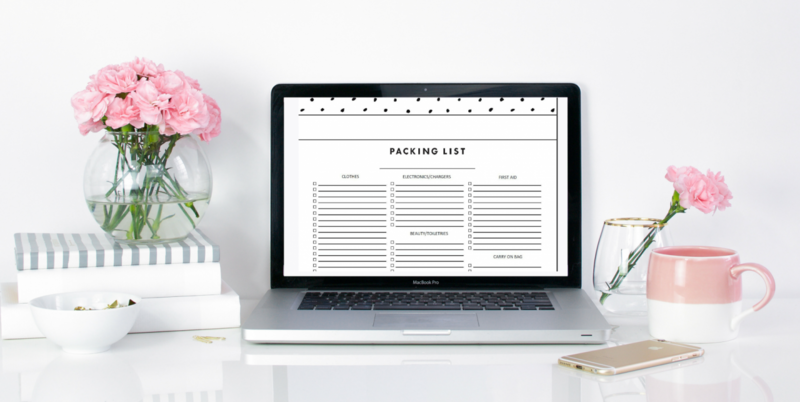 If you want a free downloadable packing list for your travels then keep reading. I always make myself a packing list before I travel, maybe I’m a complete control freak. … who really knows or cares. I decided to share my basic packing list with you! I made it so that you could download it for free in case it helps you out. The free downloadable packing list will download as a PDF. This means you can save it and print it out and fill it in by hand. If you prefer you can google ‘pdf to word converter’ which will take you to many options of websites you can upload it to. Then you can to transfer it from a PDF to a word document. If you then save the version once it’s converted to word, you can then use word to change the headings or content. That line below ‘packing list’ is so you can either write your name or the location of the trip. Let me know if you would like any other items made downloadable and I will try and help you out!